The College of Business Administration in cooperation with the Student Affairs Unit organized a visit to the Training and Entrepreneurship Development Center yesterday to introduce the students to the training programs offered by the Center. Prof. Nasr Abbas, Director of Student Affairs Unit, Dr. Islam Bourini of the College of Business Administration, Dr. Mohammad Najm of the College of Law, Dr. Moataz Ibrahim of the College of Mass Communication with a number of students. 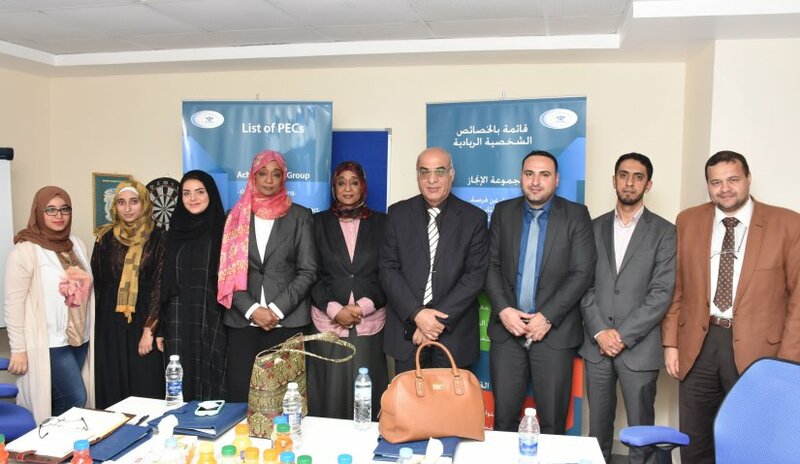 The participants were briefed on the training programs offered by the center and on some training plans for a number of small and medium investment projects. The center's Director, Ms. Hala Mahjoub will deliver a lecture on Thursday, 20th April 2017 on AFU campus. A joint cooperation paper will be signed between the center and the university in order to provide students with practical experience by engaging in the local and international labor market.